Lerolle was born in Paris, Oct 3rd, 1848 and died in Paris, April 22, 1929. He was not only a highly regarded painter of his time but also an avid collector, academician and musician. He was initially a pupil of Louis Lamothe in 1864 but never went to the Ecole des Beaux-Arts. Independent in outlook and financially well-off, he began working in the Louvre, where he met Albert Besnard and Jean-Louis Forain, and made copies after Nicolas Poussin, Veronese and Peter Paul Rubens. He attended the Académie Suisse and exhibited at the Salon from 1868. 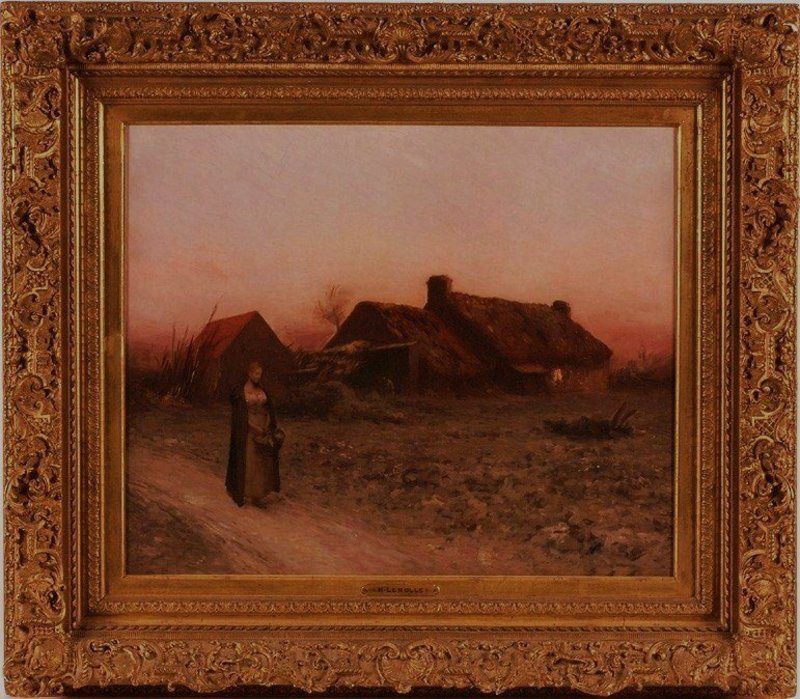 Lerolle painted works that owed much to the scenes of contemporary life by Jules Bastien-Lepage, Henri Gervex, Alfred Roll and Jean Charles Cazin. Lerolle was one of the founders of the Societe Nationales des Beaux-Arts. After having received great acclaim and many awards for his pieces depicting religious themes, Lerolle began to paint large landscapes bathed in the light of dusk with few figures, again gaining great acclaim for such compositions. His works can be found in numerous museums around the world including Fine Arts Museum of San Francisco, Boston Museum of Fine Arts, Musee d’Orsay and the Metropolitan Museum Art. His painting “The Organ Rehearsal” was recently discovered at the Metropolitan Museum of Art and in December 2007 this piece became a centerpiece in the newly expanded 19th century European Gallery. An entire wall has been dedicated to this masterpiece and the artist, finally gaining Lerolle recognition as one of the great 19th century European masters.